The Reserve Bank of Zimbabwe reduced foreign currency retention thresholds for small- scale miners as a way of managing cash challenges the country is currently going through after foreign banks mainly South Africans, cut hard cash supplies to Zimbabwe, an official with the Apex Bank has said. The explanation, comes as miners who are part of the Zimbabwe Miners Federation, expressed their displeasure with the reduction in retention thresholds saying they were not consulted by the monetary authorities before the MPS was announced. 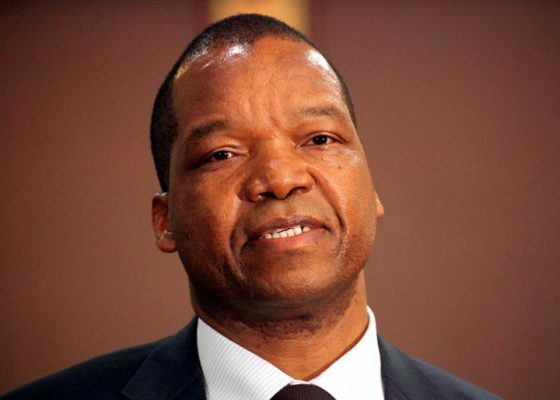 In the Monetary Policy Statement (2019) presented by Reserve Bank of Zimbabwe Governor Dr John Mangudya on Wednesday last week, retention thresholds for small-scale gold miners were reduced to 55 percent from 70 percent, a development which seems to have irked small scale gold producers. Last year, small-scale miners delivered 22 tonnes or 66 percent of the 33,3 tonnes that were delivered to Fidelity Printers and Refiners, the country’s sole buyer of gold. But post the 2019 Monetary Policy Statement (roughly 5 days), only 20kgs of gold had been delivered to Fidelity Printers and Refiners against 60kgs per day on average. Reserve Bank of Zimbabwe deputy director for Financial Markets William Manhimanzi, however, justified the reduction in retention thresholds for small-scale miners saying importing cash has been a challenge. “I think it’s important to note that gold from the small scale miners is paid for in US dollar cash, what it means is we have to import that cash and for us to import that cash we have to earn that foreign exchange first for you to bring the cash into the economy and be able to distribute that cash for whoever is buying the gold,” said Mr Manhimanzi. Mr Manhimanzi also noted that sometimes it’s very difficult to get cash into this economy with some foreign banks derisking and cutting ties with local financial institutions. “Ordinarily, we import the cash from South Africa and most of the banks, due to what we call derisking issues have now given us notice that they can no longer provide our own local banks with cash (US dollar), so we are in a catch 22 situation. “The only bank that remained was First National Bank (FNB) and they gave notice in December 2018 that they will no longer be supplying our own local banks with cash,” said Mr Manhimanzi. This, he said, had an impact on what the central bank can provide to gold miners. He also explained why the central bank had said exporters have to use or sale their foreign currency earnings in 30 days. “We need the market to have foreign exchange, the RBZ retains only 30 percent of the foreign currency generated into the economy while the rest stays with banks. So the 30 percent that the RBZ receives is what it uses for strategic imports, and it’s not enough hence we borrow offshore where we also have to pay back. Mr Manhimanzi said as much as the country is facing cash shortages, there should be enough circulating in the economy roughly putting the amounts to $500 million in bond notes and $2 billion in foreign currency. He, however, said lack of confidence in the banking sector was preventing money from circulating in the formal system. “We need to bring back confidence into the banking system, in whatever we do, so that people can bank the money and that money can then circulate,” Mr Manhimanzi said.